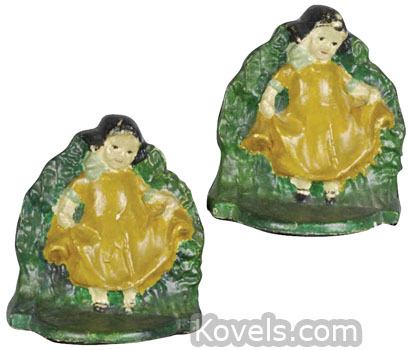 Bookends have probably been used since books became inexpensive. 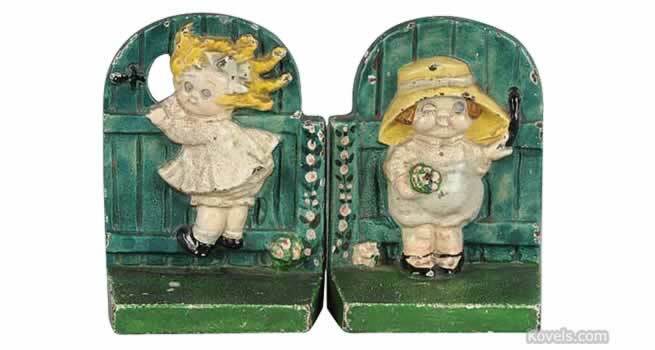 Early libraries kept books in cupboards, not on open shelves. 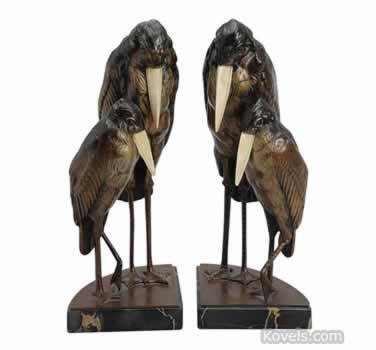 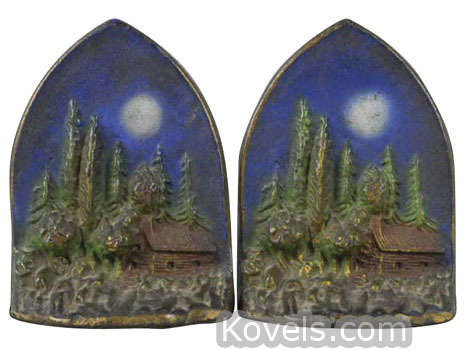 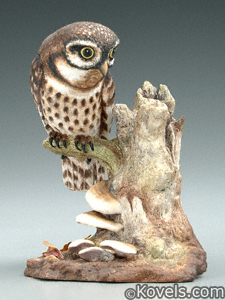 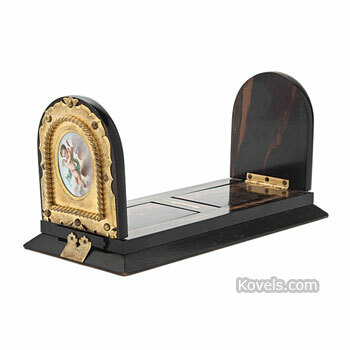 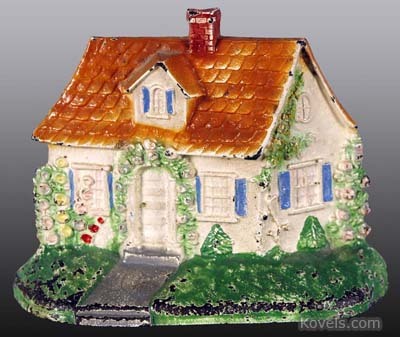 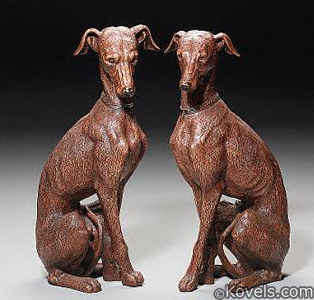 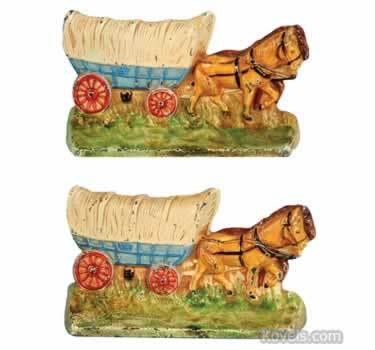 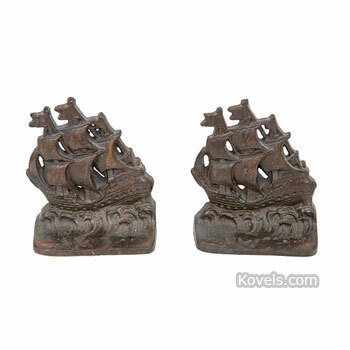 By the 1870s bookends appeared, especially homemade fret-carved wooden examples. 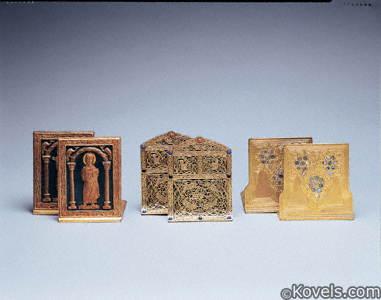 As books became more available during the 16th century, bookends were used so that books could be stored vertically on shelves. 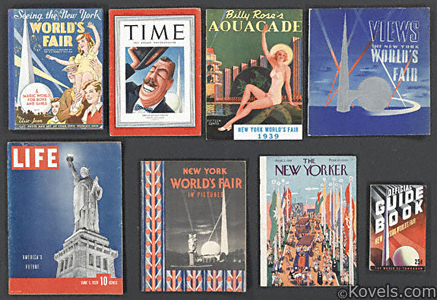 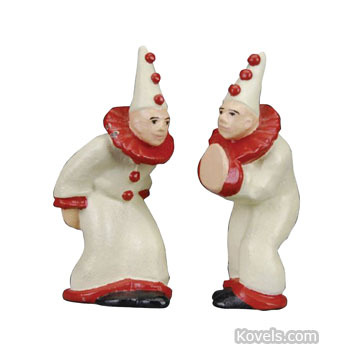 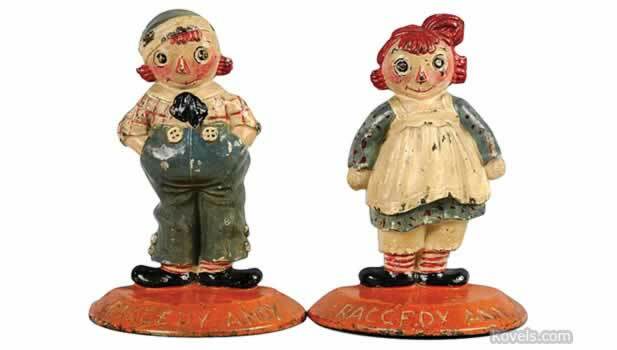 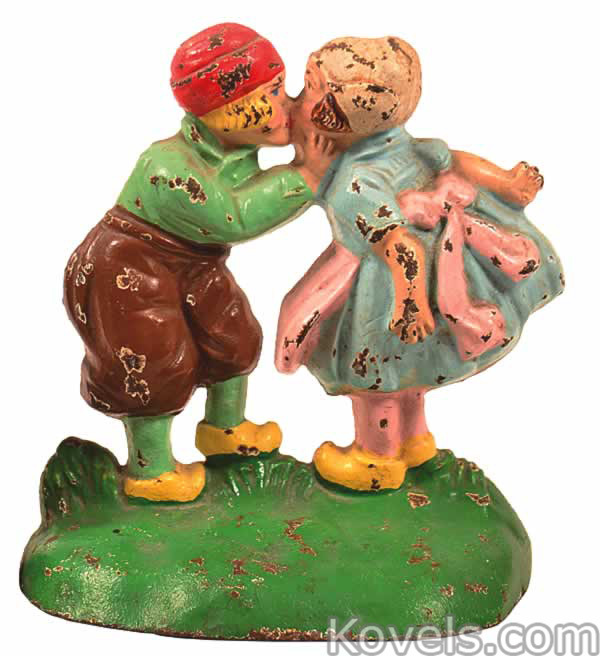 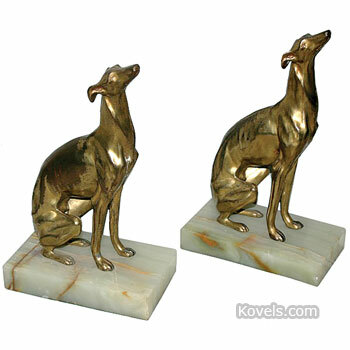 Most bookends listed here date from the twentieth century. 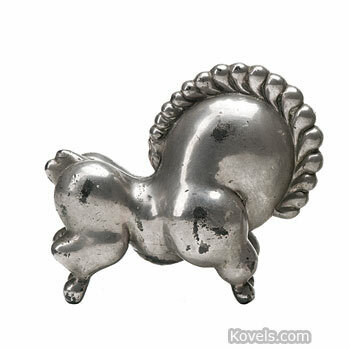 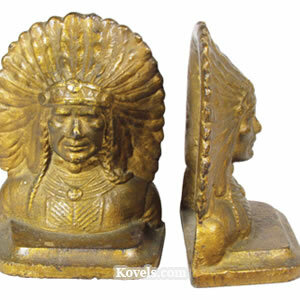 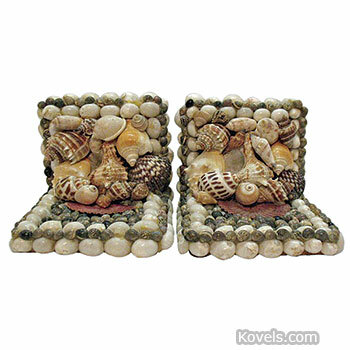 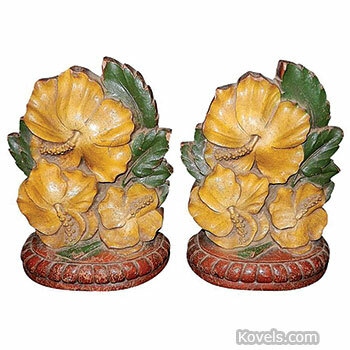 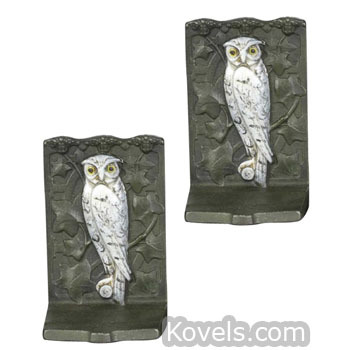 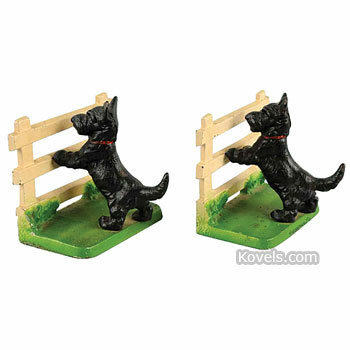 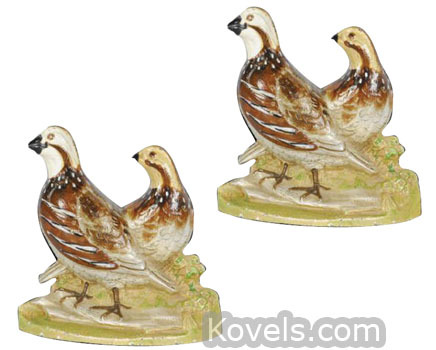 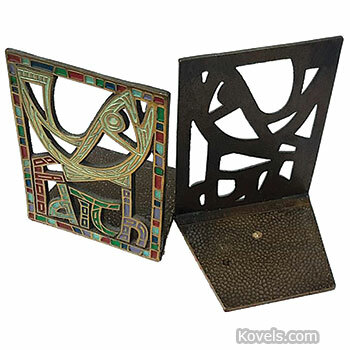 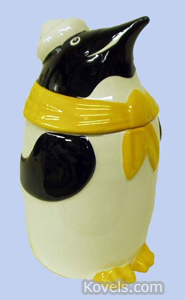 Bookends are also listed in other categories by manufacturer or material. 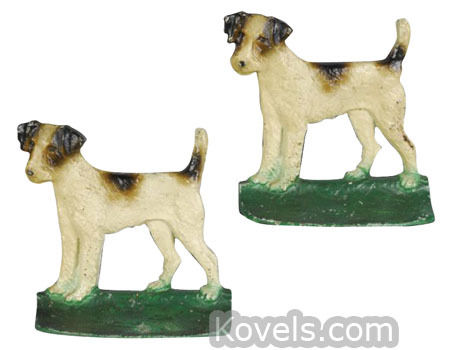 All bookends listed here are pairs.